Thursday, I registered for The Canadian Book Challenge 4. 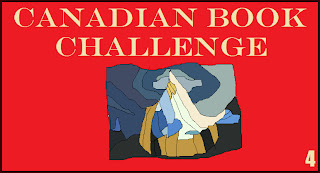 In the challenge, you have one year to read 13 Canadian books and review them somewhere online from Canada Day, July 1st, 2010, to Canada Day, July 1st, 2011. There are check-ins at the beginning of each month to see how everyone is progressing and have their current status marked in the sidebar of the Book Mine Set. I read a lot of books about Canadian history but do it slow. Should be interesting to see how I do.